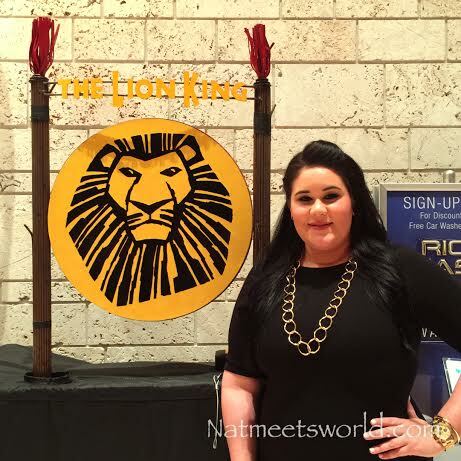 This week, I had the pleasure of seeing the most successful broadway shows ever performed, The Lion King! The Lion King on Broadway tells the iconic story, that we all know and love, of Simba finding his role in the circle of life. From the opening scene, until the curtain falls for the last time, you will be immersed in nothing but vivid color, bright lights, and stunning costumes too beautiful to blink and miss the action. The cast left me breathless (and tearing up) at how beautifully they sang the classic tunes that warmed my heart as a child and continue to do so in my adult life. 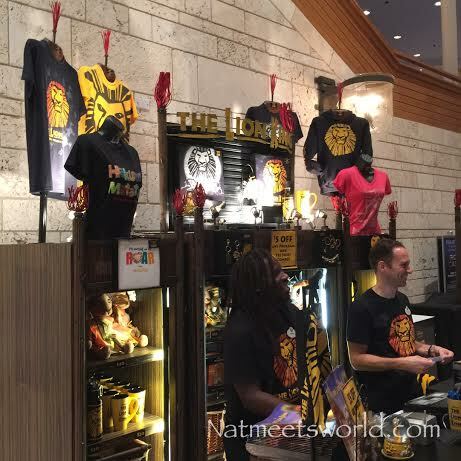 I enjoyed how the show incorporated both classic and new songs that infused the language of Swahili. I may have not understood some of the songs, but I can say, it sounded magnificent! The costumes were also extravagant and portrayed each character in their own unique way. The make-up was very traditional in African culture as well, which gave the costumes and characters an even more stunning appearance. One aspect that I particularly loved was the attention to detail that Disney always includes. There wasn’t a single part of me that felt like this story lacked a concept or a piece of the original story line. I was amazed at the portrayal of each character and how its intricate character was brought to life. This show also incorporated a great mix of love, sadness, culture, and most importantly, laughs! Timon, Pumba, and the Hyenas were my favorite since they had me laughing the entire time! Zazu was also very comical! 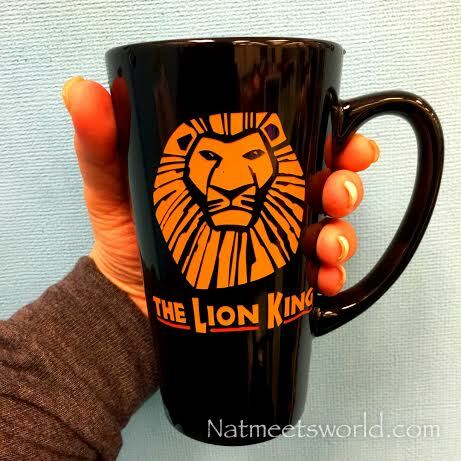 It’s no wonder that The Lion King on Broadway is one of the top grossing and award winning musicals of all time. I had a spectacular experience that reminded me so much of my childhood and introduced me to beautiful African culture. This show surpasses the five star scale in my opinion, but since that is the highest I can rate it, I give it a full five stars! Be sure to check out the souvenir stand for some really unique items! I purchased a great mug, as well as the soundtrack to the play. 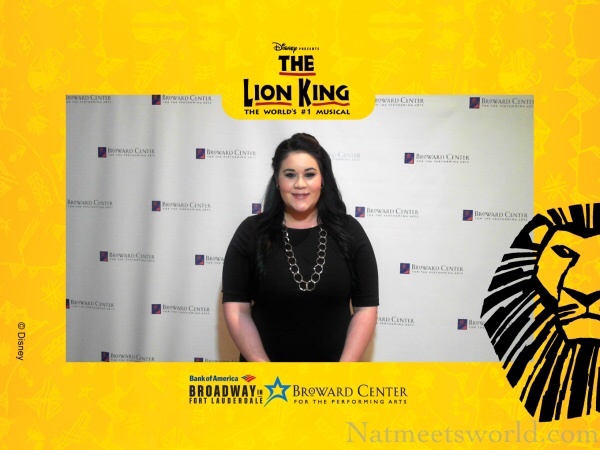 Check out the Lion King on Broadway official website for touring dates. This is not a show you will want to miss! 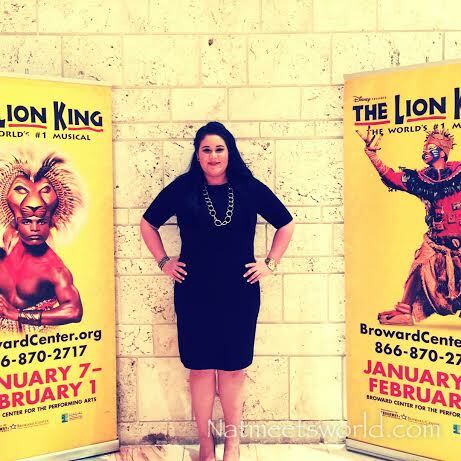 Have you seen the Lion King on Broadway? What did you think of it? Comment below! « Delight Your Guests This Halloween With a Disney Villain Tree!